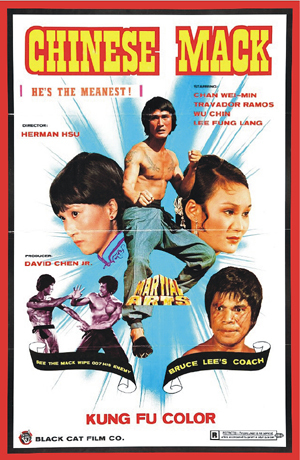 (1974, aka MARTIAL ARTS) Wai-Man Chan, Chin Hu, Fung-Lan Li. This Kung Fu drive-in epic follows the ups and downs of a young martial arts aficionado with a plethora of high octane fight scenes thrown in for good measure. The fight choreography is excellent with plenty of those hokey kung-fu-blow sound effects throughout. A mindless grindhouse treat. Not to be confused with CHINESE GODFATHER, which is a totally different movie. Color, 35mm.